Uber added homophobia to its taxi fare on New Year's Day, as a gay couple claimed one of its drivers kicked them out on the street for kissing in the back of his London cab. Corey Watts and Jordan Sloan were on their way to a friend’s house when they ordered an Uber taxi towards Leicester Square. The couple had only travelled a short distance before the taxi driver stopped and asked them to get out, after he saw them kissing. “We were kissing and cuddles next to each other when a minute or two after picking us up he pulled over and told us to get out,” Sloan told ITV News. After challenging the taxi driver, asking whether he would “do the same thing if it was a guy and a girl,” Watts said the taxi drove away. We weren't drunk or rowdy. It was a kiss between my boyfriend and I that would not have caused an issue had we been male & female. The popular taxi-booking app charged the couple for the short ride, but later refunded the fare after learning of the incident. “We opened an investigation from the moment we learned of this unacceptable incident and have been in contact with the rider to extend our sincere apologies and get further information,” the spokesperson added. 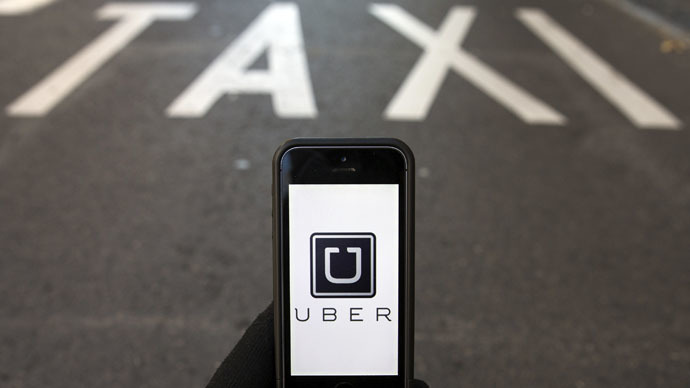 Uber has suspended the taxi driver while the incident is under investigation.